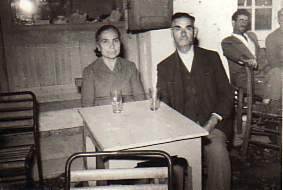 Above: My parents, Efterpi and Dimitrios. 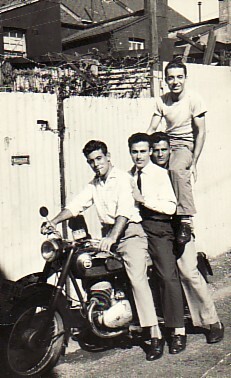 Above Right: With my friend, Sevastos (right). Above: At the panygiri of Agios Haralambos. 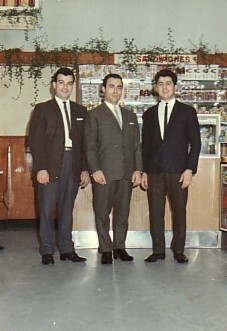 L-R: myself, Spyros and Stavros Giannakis. Above Right: Leaving for Australia. 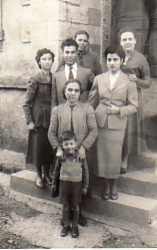 L-R: my sister, Galatia; myself; my mother, Efterpi (front); my aunt, Katina (rear); my sister, Claire; unknown. 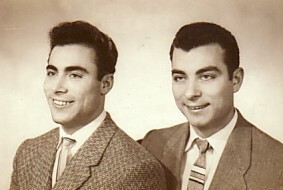 Above: With my twin brother, Ioannis (left). 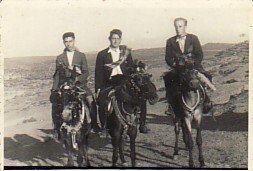 Above Right: With horiani, Andonios Comninakis (left) and Dimitrios Menemenios (right). 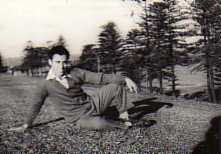 Above Right: Eastwood, Sydney, early 1960's. 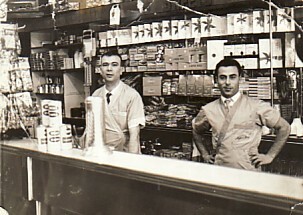 With our partner, Stylianos Tsohatzis, at the Day and Night Milk Bar; we also had as third partner my brother, Ioannis. 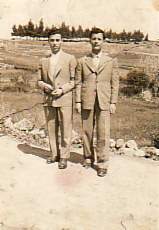 Above: In the Day and Night Milk Bar with my brother, Ioannis and Georgios Kajos. 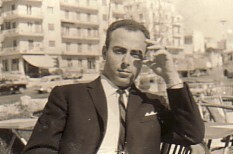 Above Right: Holidaying in Athens, 1965.